Tonight at The Game Awards, a short teaser revealed that Telltale’s next big licensed adventure game will be based on Guardians of the Galaxy. Before I play it, I’m gonna need a security band, a quarnex battery, and that guy’s prosthetic leg. Rumors about this game started up a couple of weeks ago, and tonight’s announcement confirms it: The folks behind other good adventure game series like The Walking Dead, The Wolf Among Us, Game of Thrones and Tales from the Borderlands will be tackling Peter Quill’s gang of rogues. 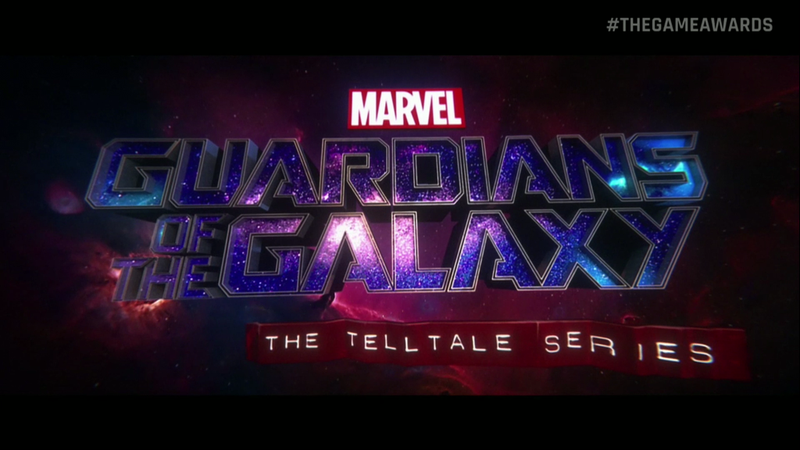 When I think about it, Tales from the Borderlands already kind of felt very similar to the recent Marvel adaptation of Guardians, so Telltale should be a good fit for this.